Banker Lopez Gassler is pleased to announce the addition of Chris Altenbernd to the firm's Appellate Practice. Chris has joined the firm after serving more than 27 years as an appellate judge on Florida's Second District Court of Appeal. He served terms as the court's chief judge and as the president of the Conference of District Court of Appeal Judges. Having written nearly 1,400 judicial opinions on a wide array of legal issues, he now handles a broad spectrum of civil appeals, including complex torts, commercial and construction claims, insurance coverage issues, domestic relations and real estate. He assists outside counsel with brief writing and conducts moot courts prior to actual oral arguments. 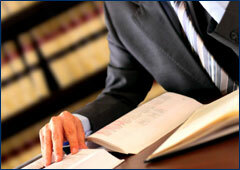 He served as a member and chair of the Florida Supreme Court Committee on Standard Jury Instructions in Civil Cases. For more than two decades, he taught jurisdiction and standards of review at the Florida Judicial College for New Appellate Judges.